After lots of leaks and rumours, it is final that Samsung Galaxy A8s will have the infinity-O display, as per the FCC listing. Earlier the device was teased at a launch event with an image of it showing a display hole for the selfie camera and edge-to-edge design. So, if you are new to the name of the infinity-O display, then for you Samsung has introduced the whole new set display to counter the notch display from which the company has kept the distance till now. 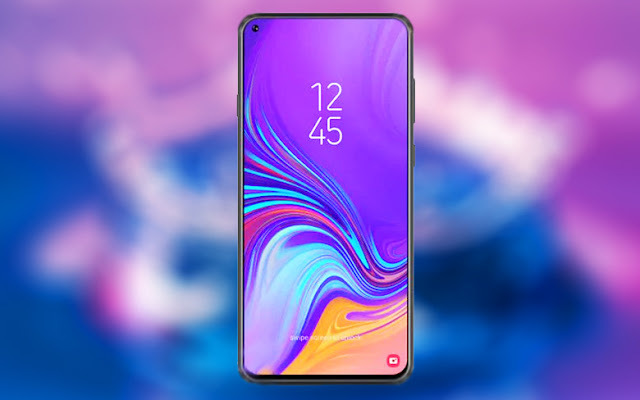 Now Samsung Galaxy A8s is going to be the first smartphone to feature one of those, infinity-O display. On the camera front, there will be a 24MP rear camera with LED flash along with a 10MP secondary camera with 120-degree Ultra-Wide camera and 5MP f/2.2 depth camera. On the from there could be a 24MP selfie sensor along with a fingerprint sensor to enhance the security levels. There will be a 3400mAh battery to power the device with adaptive fast charging technology. Recent reports also suggest that Lenovo is going to launch the Lenovo Z5s with a similar display. For all the updates from the Mobile industry keep visiting App Gyaan. You can share your thought in the comment section below.